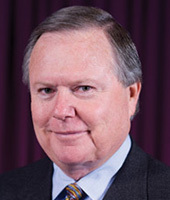 J. Robert Brown is President of Brownco Capital LLC, Chairman and CEO of RB Toyota in Clovis, New Mexico, and formerly was the President and Chairman of the Board of Desert Eagle Distributing of El Paso, Inc., distributors of Anheuser-Busch products in El Paso and Alpine, Texas; and Roswell, New Mexico. Mr. Brown has been a Director of El Paso Electric Company since June 2003 and serves on its Audit Committee, Public Policy and Corporate Reputation Committee and the Energy Resources and Environmental Committee. Mr. Brown also serves on the MD Anderson Board of Visitors. He is a member of the State Bar of Texas, past chairman of the Texas Tech University System Board of Regents, serving on their Facilities and Planning Committee and their Investment Advisory Committee and also served on the Texas Tech University Foundation Board. Mr. Brown also served a six-year term as Commissioner for the Texas Parks and Wildlife Commission. He is a past director and chairman of the El Paso Chamber of Commerce Foundation and served on the Boards of the Yucca Council of the Boy Scouts of America, the Sun Bowl Association, and the American Heart Association-El Paso Division. Mr. Brown was honored as the 2004 Distinguished Alumnus for the Jerry S. Rawls College of Business at Texas Tech University. In 2010, he was inducted into the El Paso Business Hall of Fame. Mr. Brown earned his Bachelor of Business Administration degree in Administration and Marketing from Texas Tech University and his Doctor of Jurisprudence degree from St. Mary's University. Mr. Brown has been a Director of WestStar since 2004.